It was strange issue, because I didn’t add UiaComWrapper assembly. Tried to remove the assembly, but as soon I run test the previous error appeared. To fix this issue we have to use “Reference Alias” which is specified here. 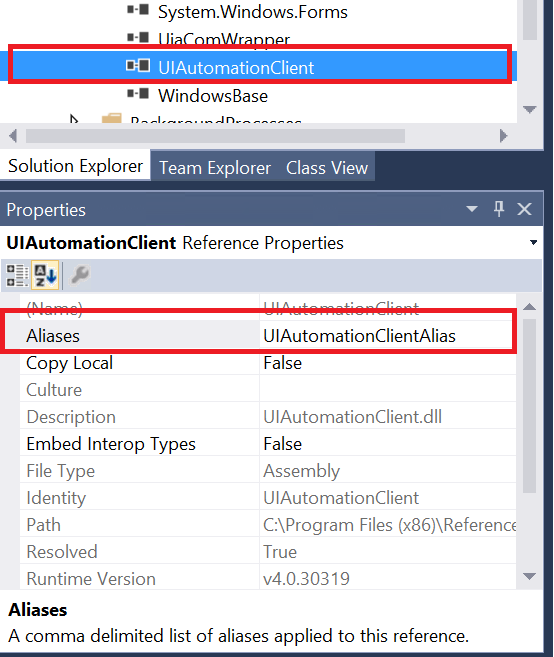 So for our assembly UIAutomatisationClient change the Alias from “global” to “UIAutomationClientAlias”. See picture below. Now that we defined new alias, in the following text it is shown how to use it in your cs file. Open the cs file we have error. 3. Now we can use all members from Automation class safely, and the compiler error is despaired. 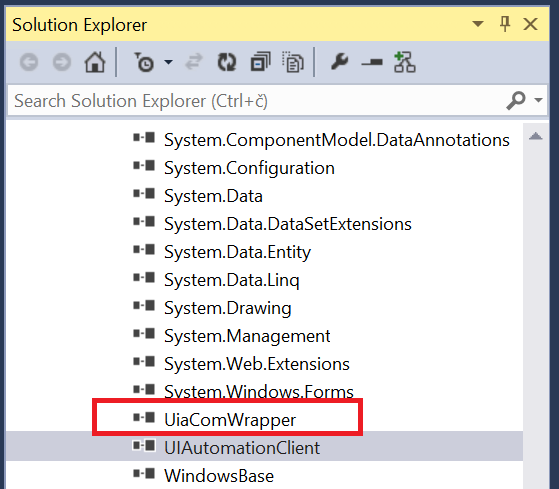 This entry was posted in .NET, C#, Visual Studio and tagged .NET, C#, Visual Studio by Bahrudin Hrnjica. Bookmark the permalink.